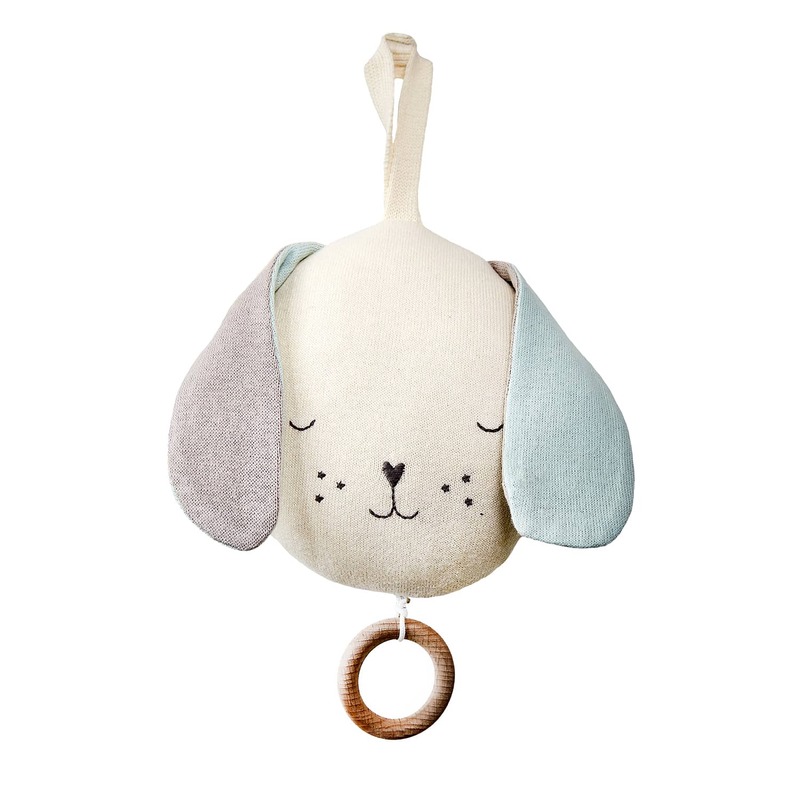 Musical baby toy by Meri Meri, in the shape of a dog's head. Beautifully made in knitted organic cotton with stitched details. Pull the wooden ring & a soothing lullaby plays. It has cotton loop fastener for hanging.